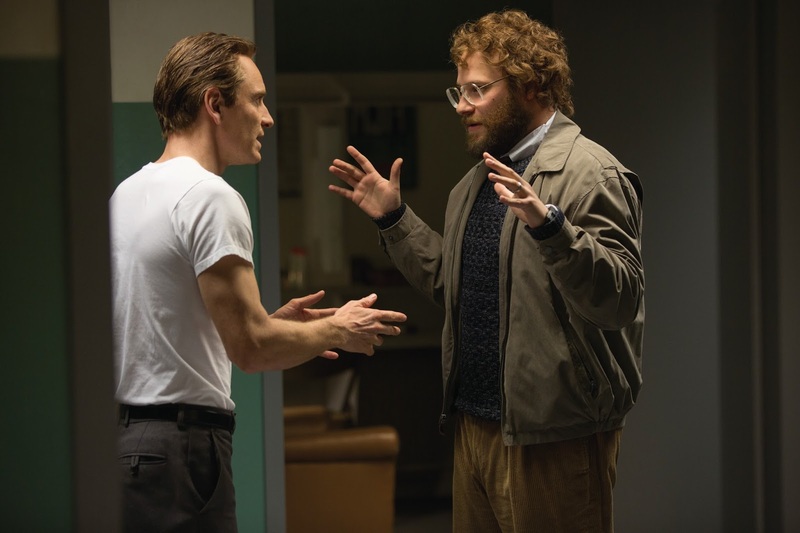 Behold a few new photo stills from the third Steve Jobs movie in the last two years, STEVE JOBS. In case you haven't been following the faux trilogy, the first film about the tech icon was the godawful Jobs in 2013 and the second was the 2015 documentary Steve Jobs: The Man in the Machine (did anyone see this?). But this one stars Michael Fassbender, Kate Winslet and Seth Rogen, which means if it ends up being awful Hollywood should just retire. Set backstage in the minutes before three iconic product launches spanning Jobs' career—beginning with the Macintosh in 1984, and ending with the unveiling of the iMac in 1998—Steve Jobs takes us behind the scenes of the digital revolution to paint an intimate portrait of the brilliant man at its epicenter. Steve Jobs is directed by Academy Award® winner Danny Boyle and written by Academy Award® winner Aaron Sorkin, working from Walter Isaacson's best-selling biography of the Apple founder. The producers are Mark Gordon, Guymon Casady of Film 360, Scott Rudin, Boyle, and Academy Award® winner Christian Colson. 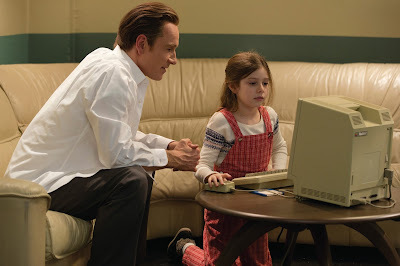 Michael Fassbender plays Steve Jobs, the pioneering founder of Apple, with Academy Award®-winning actress Kate Winslet starring as Joanna Hoffman, former marketing chief of Macintosh. Steve Wozniak, who co-founded Apple, is played by Seth Rogen, and Jeff Daniels stars as former Apple CEO John Sculley. The film also stars Katherine Waterston as Chrisann Brennan, Jobs' ex-girlfriend, and Michael Stuhlbarg as Andy Hertzfeld, one of the original members of the Apple Macintosh development team. STEVE JOBS is in theaters October 9. The first film lacked strong acting and performers, something this movie has in spades, looking forward to it.